and all the little things. I don’t plan to write much about music or films on this blog, but since Foster the People is one of my favorite bands and I’ve been waiting for the release of this album for more than a year, I couldn’t not write about it. 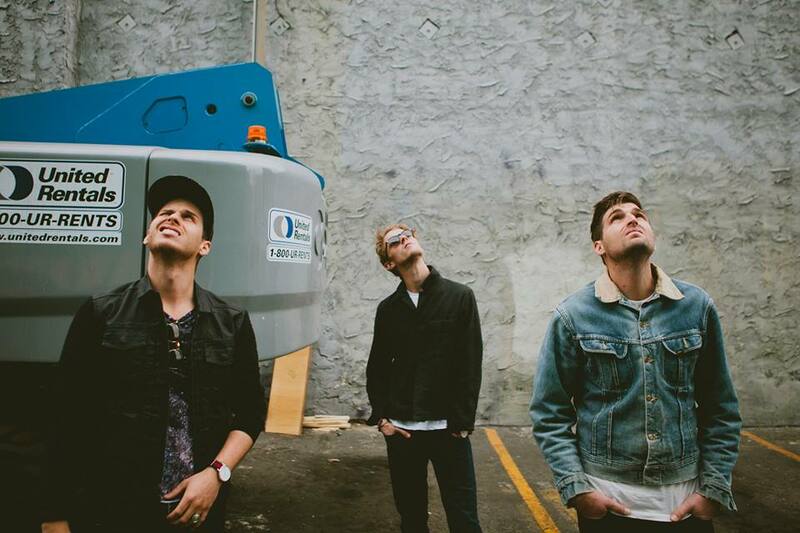 Foster the People is a band that came out from the MGMT, Passion Pit, Friendly Fire’s music scene to become a band of respect. Starting with the album Torches and kicking off the radio with Pumped Up Kicks, the band spent two years traveling around the world, growing not only as a group but also musically, making Torches a small album for a band that grew so much in just a little time. The songs from the first album changed through the shows, becoming way more well-developed and musically better live. The band who were only three boys (Foster, Pontius and Fink) became five (Innis and Cimino) through their tours, helping them to perform a better live show. Not mentioning they’ve received three Grammy nomination, including for Best Alternative Album. After two years of touring around the world, Supermodel came to show what Foster the People is really about. It’s not about being a better or worse album than Torches, but a continuation of a band who started at small venues and now are the most wanted band in festivals around the world. And they deserve it. They’ve worked hard for it (approximately 300 shows in two years), they’ve improved their selves and they wanna go further. And with Supermodel, they have. One of the first things you can tell about Supermodel it’s that is a really guitar driven album. And that’s exactly what lead singer Mark Foster told in interviews before. Which makes total sense when you look at their bands inspiration. They are not alternative bands from recent years, but bands from the 60’s and 70’s like The Beach Boys (their favorite band), The Clash, Kenny G, Jamie Brown, The Weather Report, among others. So you can tell they really went further with this album, not only making modern songs but mixing their taste with the kind of music they’ve already done in Torches. The tracks “Goat in Trees” and “Fire Escape” are almost all played by a guitar only. Not mentioning the melody of the guitar in “Nevermind” is what makes the song what it is. And speaking on 60’s and 70’s songs, one thing you can tell about Supermodel is how sort of retro and vintage the album is. All songs has some sort of nostalgia feeling, and the production design of the “Coming of Age” video clip proves that Supermodel brings back some of that time period that was used from the influences the band took to build this album. Also, the second big thing you can tell about Supermodel is how well produced the songs are. Differently from the first album, the band created the songs with six people in the group – yes, there is a new member in the band called Phill. So on this album, Foster the People were able to make music that will sound exactly like it will sound on the stage, unlike Torches which started being worked up through their tour. Still, my favorite tracks are the most modern ones, like “Pseudologia Fantastica”, “Best Friend” and “A Beguinners Guide to Destroy the Moon”. Here, the band takes what they’ve already done in tracks like “Houdini” and “Miss You” and gives us probably the best songs the band has ever done so far, with electric, dancing and powerful rhythms. Which is also very important because Supermodel is not like one of those albums where the band completely changes after their first record, but actually improve their selves. And those tracks are where Torches meets Supermodel, connecting them in some sort of way. For the conclusion, I can’t compare Supermodel with Torches since they are not albums to be compared. Like I’ve said before, Supermodel is definitely a continuation of Torches, or, of a band who grew up a lot in a short period of time and explored themselves not changing or being the same. They have evolved and they keep evolving. The only thing I know for sure is that Foster the People is not a Pumped Up Kicks hit anymore, but a band to be respected for everything they’ve done is the last two incredible albums. And of course, I’m loving it! Papiro & Mint is a website about film, music, photography and books that produces exclusive writing material and shares references that serves as inspiration to its readers who are looking for original, creative and astheatical content. Written by Guilherme Spada, a brazilian cinephile and filmmaker, Papiro & Mint focuses on quality curatorship material for people who are looking for different movie themes, inspirational content and photography references without the pressure of an critic but as important as one. More than that, Papiro & Mint is an online source of inspiration. Don't want to miss a new article? Enter your e-mail address and we'll send you an e-mail with new awesomeness! Guiherme Spada, 26, is a brazilian filmmaker, writer and cinephile from São Paulo. He graduated in Film in the US and has written, directed and produced five independent short-films and has several film credits. He has also worked as film festival jury and foreigner correspondent to a major brazilian film website. He started writting about film and music in 2007 at Arte à Sétima, until he broadened his themes to create Papiro & Mint in 2014.